This April, the 22-room Iconic Santorini will open as a boutique hotel set on the Greek island in a cave that rises above the Mediterranean on the former caldera rim of an ancient volcano. 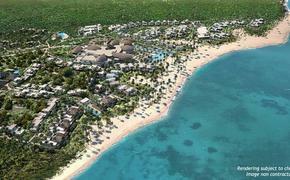 The hotel will feature the island’s signature cliff top views and cliff side terraces as well as private grotto pools. The pools are a fixture of the Grotto Suites. The hotel was recreated from the homes and shops in the whitewashed village of Imerovigli. Iconic Santorini is offering special inclusive packages for a three-night Lovers’ Escape, from €2,495, the first package comes with a Grotto Suite with enough personal terrace space for sunbathing; private transfers; flowers, hand-crafted chocolates and a chilled bottle of Moet et Chandon Champagne on arrival; a candlelit dinner with local wines; breakfasts cooked to order and served on the terrace. 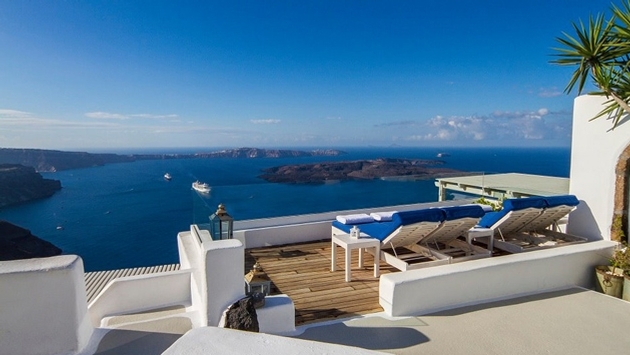 Iconic Santorini is managed by Hospitality America. ME by Meliá is coming to the fashion capital of Europe when the 132-room ME Milan Il Duca opens near the “fashion quadrilateral” at the Piazza della Repubblica in May, 2015, not far from the Corso Como. It seems that all fine Italian hotels have signature rooftop bars and so will this one, which will be 2,000 square feet in size and have views of the entire city. The hotel’s building, originally designed by Aldo Rossi, will be completely renovated to the style of the late architect. When completed, each guest's stay will be orchestrated by the Aura Manager, whose responsibility is to know the city inside and out, leveraging their knowledge of local culture to make the hotel's service truly bespoke. The ME Milan Il Duca will follow the openings of the ME Mallorca (May 2014), the ME Ibiza (June 2014), and Zaha Hadid’s ME Dubai (2016). 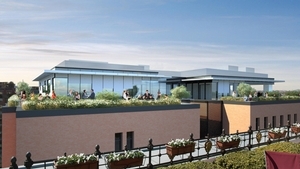 It will be the first ME by Meliá hotel in Italy. There are currently ME Hotels in London, Madrid, Cancun and Cabo with more to follow in 2014. A gem of the French Riviera, the Hotel du Cap-Eden-Roc, is celebrating its 100th birthday this year. An Oetker Collection Masterpiece Hotel, the hotel will commemorate the anniversary year by taking guests down a journey through time. It will all begin on May 9 with a special gala dinner at the Eden-Roc restaurant, recalling the life of the 1900s. The dinner, which includes wine pairings, is priced at $968 per person. The celebration continues with a series of silent films including the Charlie Chaplin collection that will be shown on giant screens. On Sept. 5, a second gourmet dinner with wine pairings will be served at the Eden-Roc restaurant in the presence of three of the World’s Best Sommeliers including Serge Dubs (1989), Markus Del Monego (1998) and Andreas Larson (2007). The menu will be created and prepared by a variety of the Oetker Collection’s chefs including executive chefs and pastry chefs from Le Bristol Paris, Brenners Park Hotel & Spa, Le Château Saint-Martin & Spa, Palais Namaskar and Hotel du Cap-Eden-Roc. Vienna is extremely protective of its history, especially when it comes to architecture within the Ring, and so it’s quite noteworthy that a foreign brand like Hyatt was allowed within a UNESCO-ranked hallowed area in a sparkling new development. Vienna’s glittering Golden Quarter, a new pedestrian-only area of luxury shops and restaurants, will open its only hotel on June 1 when the 143-room Park Hyatt Vienna begins receiving guests. 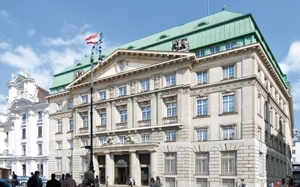 The first Park Hyatt in Austrian history will reside inside a hundred-year-old Art Nouveau bank building between St. Stephen’s Cathedral and the stock exchange. The pool, located in the original bank vault, is tiled in golden-colored stone, an allusion to the gold bars once stored there. The Golden Quarter forms part of Vienna’s First District, a UNESCO World Heritage Site. The hotel’s main restaurant, The Bank, will serve Austrian and international and have a restored mural that was discovered beneath layers of paint on the ceiling. The Pearl will serve Wiener schnitzel and tapas as afternoon tea is served in The Lounge; and single-malt whiskeys and cigars in The Living Room. The Arany Spa will have six treatment rooms, a fitness center, a steam bath, sauna, sanarium, and vitality shower. In 2013, the U.S. became Vienna’s 4th largest market with 658,000 visitor overnights, a growth of 6 percent on 2012. This coming July, Austrian Airways will add a new route, Newark Liberty-Vienna International, with five non-stop flights weekly, and in May, it will increase frequency on Chicago O’Hare-Vienna to daily non-stops.